Oh my goodness! We are so excited! Do you guys remember when I mentioned a few months ago that Leo and I could envision a fire pit in front of our DIY Garden Waterfall? Oh, my gosh! Our dreams are coming true in just a few days! We’re so happy to announce that we’re forging a partnership with Belgard, Blue Max Materials, and Keeler Landscape to create a fire pit for this area. Earlier this year, we added this beautiful waterfall to the area in front of our garden, and we spent a lot of time this summer enjoying the sound of the splashing water. But we got to thinking that we could enjoy the waterfall even more in the fall and winter if we had a fire pit in front of it. About this same time, we were contacted by a representative from Belgard asking if we’d like to participate in their Welcome Home Program for veterans by hosting a BBQ Kit Giveaway. We were more than happy to promote anything that would help our veterans and I’m happy to report that Belgard presented a check for $100, 000 to the USO at Fort Carson in Colorado Springs, Colorado, as the culmination of the Welcome Home Program for veterans who are transitioning to civilian life. Belgard is the go-to company for paver products to create patios, walkways, retaining walls, outdoor kitchens, driveways, and guess what, FIRE PITS! 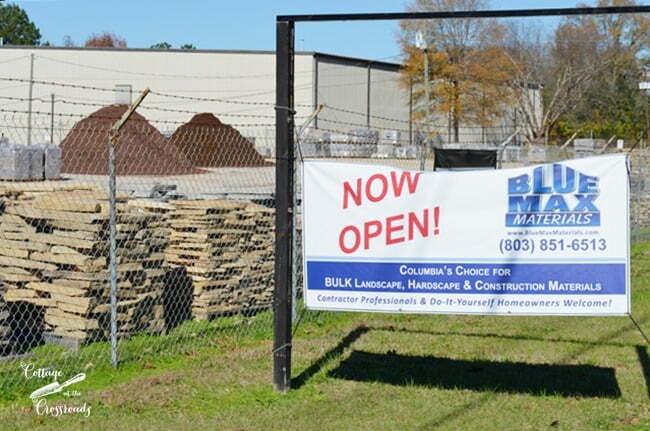 Belgard suggested that we team up with Blue Max Materials in Columbia, SC to see if we could make our dreams a reality. I hand-drew a little sketch of what we had in mind. 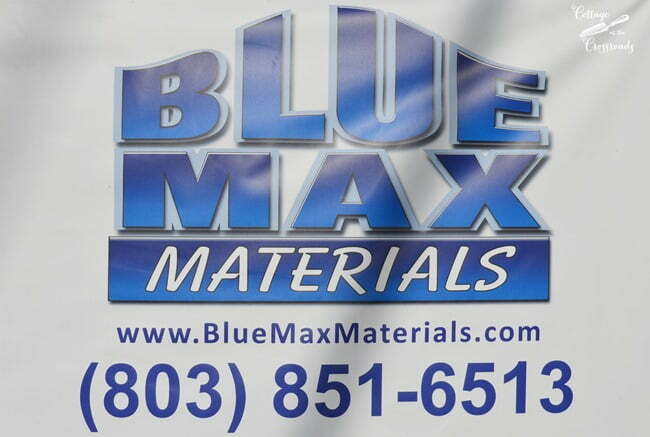 Pretty soon I received an email from Barb, the marketing director for Blue Max Materials, who said she had seen my sketch but would like to meet with us and see the site in person. She brought along Brian from Blue Max Materials in Columbia, and commercial and residential landscape designer John Keeler from Keeler Landscape from Columbia as well. We’re sure glad Barb suggested that we team up with professionals for this project. The nice thing about working with professionals is that they can give instant advice on what’s doable and what’s not as well as how to stay within your budget. 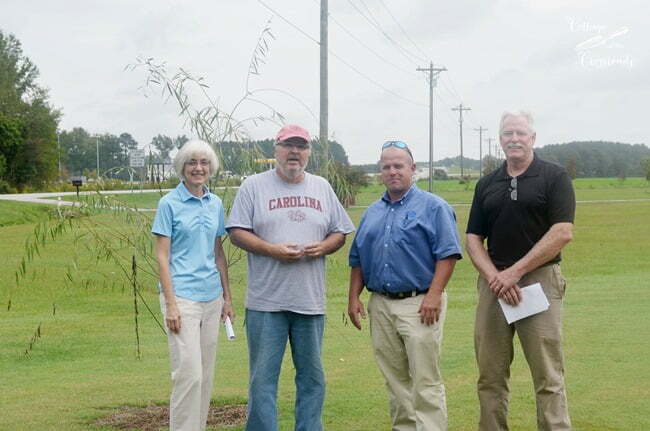 We had this initial meeting in late September but the construction has been delayed by the torrential rain and wet ground that we’ve experienced in South Carolina this fall. But I’m happy to report that the installation of the fire pit is scheduled for this coming Tuesday! 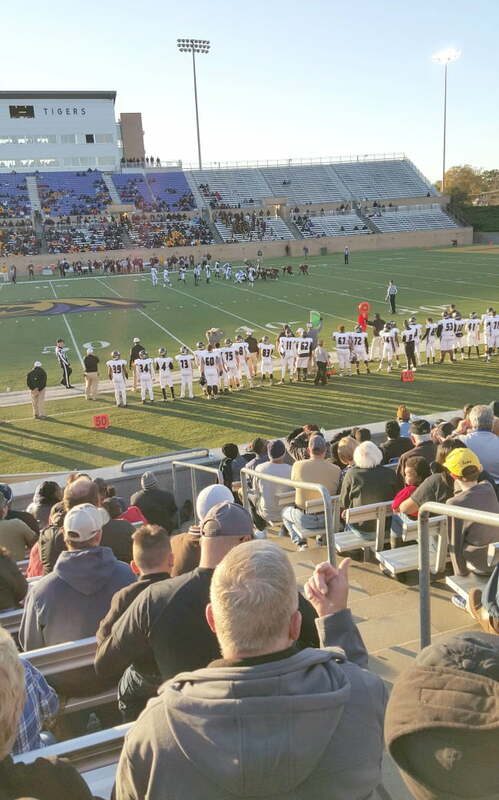 This past Saturday Leo and I rode up to Columbia to see our hometown high school football team play for the state championship in their division. Our little town only has a population of about 1000, but I think the whole town and then some were there! 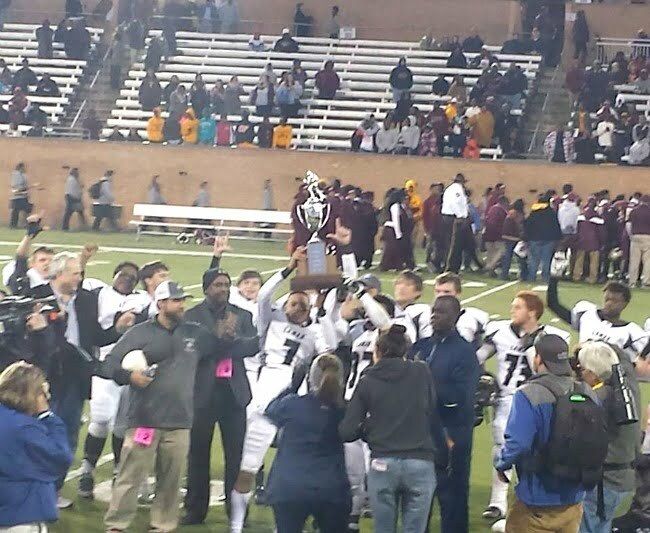 Congratulations to Lamar High School Silver Foxes Class A division II State Champions! Before the game, Leo and I rode by the Blue Max Materials yard in Columbia. It is located on Fairfield Road and convenient for homeowners who want to drop by . 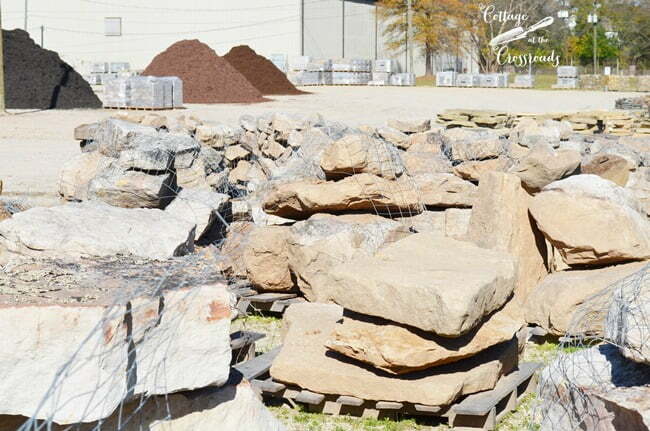 Their experienced staff can help you select the proper products for any landscaping or hardscaping project. They have mulch for your garden or yard. 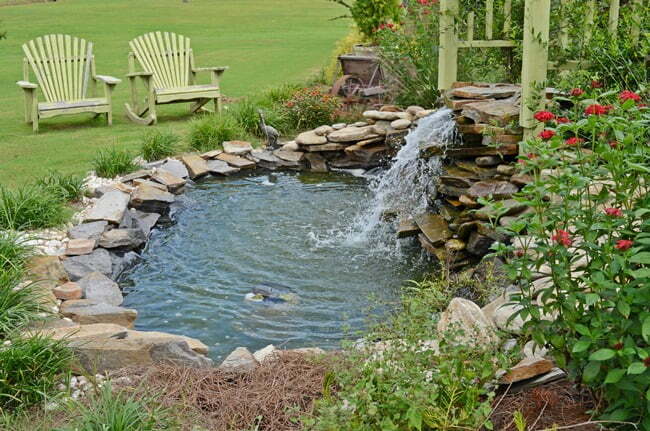 And lot of stones for creating garden bed borders, water features, stone walkways, or whatever you can dream of doing! As a Belgard authorized dealer, Blue Max offers products for patios, driveways, outdoor kitchens and living spaces. They are committed to providing outstanding products and customer service to both professional contractors and homeowners. If you’re from Columbia or the surrounding area and you stop by, be sure to tell them that Leo and Jane sent you. Here’s their phone number that I grabbed off their sign, and if you’re searching for some inspirational photos for projects, you can follow them on Facebook and Pinterest, or you can see a gallery of project photos on the Blue Max Materials website. 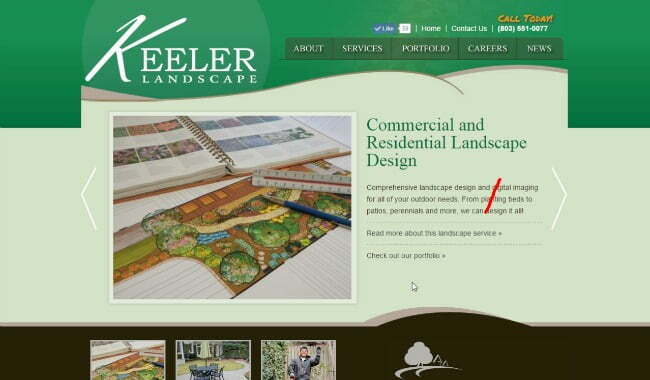 And our contractor who’s going to make it all happen is John Keeler from Keeler Landscape in Columbia, SC. His company has been in operation since 1997. 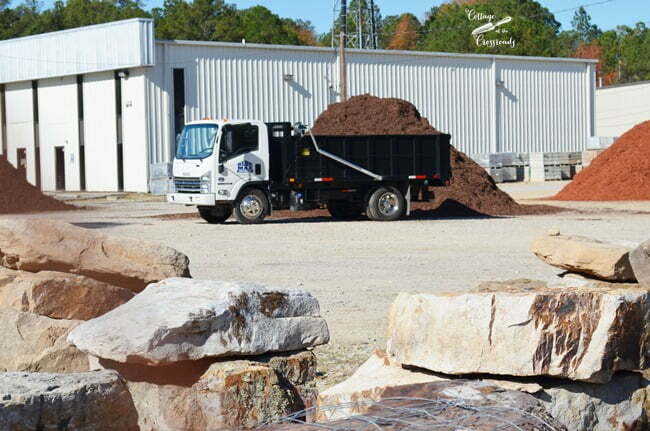 They are a comprehensive company that can start with a landscape design and install an outdoor retreat area with pavers, seat walls, fire pits, retaining walls, and outdoor kitchens that will last for years to come. 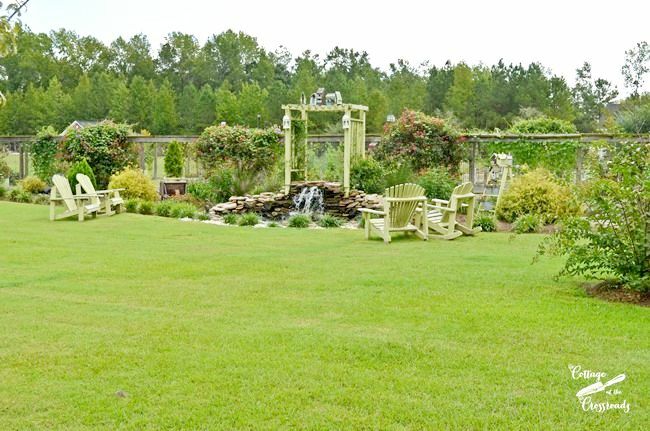 You can find some awesome projects that they’ve completed as well as more information on the Keeler Landscapes website or their Facebook page. 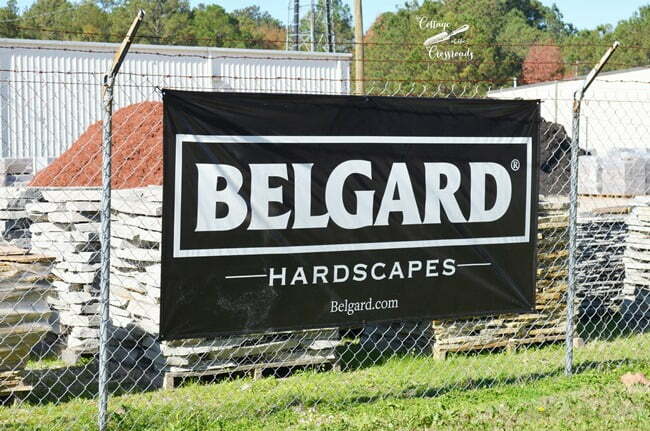 And, of course, he’s a Belgard authorized dealer and contractor as well. I’m so excited about our fire pit project! Thanks to this beautiful partnership we’ve formed with these professionals, we’ll be enjoying the smell of a wood fire, roasting marshmallows and sipping some chill chasing drinks with the whole family when they come home for Christmas. 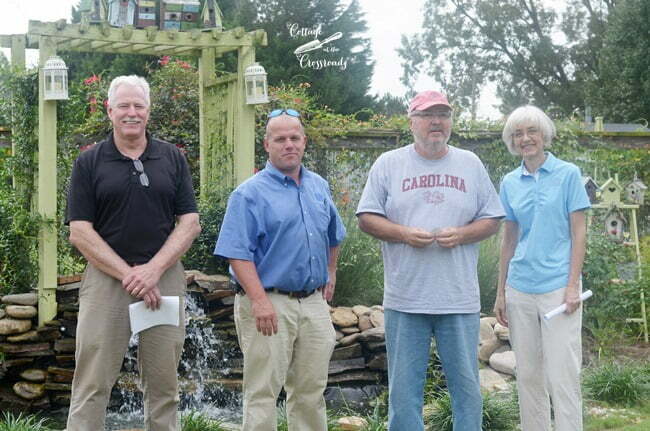 If you want to make your dreams of a cozy, outdoor retreat a reality, contact any of the professionals listed above. I can’t wait to see this project come together!!! 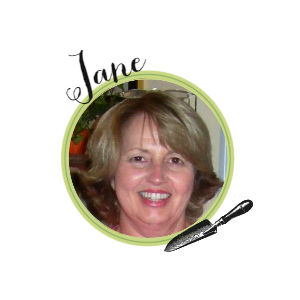 Jane, how exciting! What an exciting partnership. I’d say they chose well when they found you and Leo. You have such a beautiful place and will be able to show it off on your blog and to local people. Congratulations. How exciting about the partnership!….It is going to be amazing!….I wanted a fireplace but that did not happen, then he suggest a fire pit…that did not happen….so I have a blank slate…I am looking forward to seeing your fire pit become your dream come true!….also..congrats to the team!!! Can’t wait to see the new fire pit area. What a great addition to the waterfall.